I think jumping spider. That's the best photo a can do. Found on my bathroom ceiling. 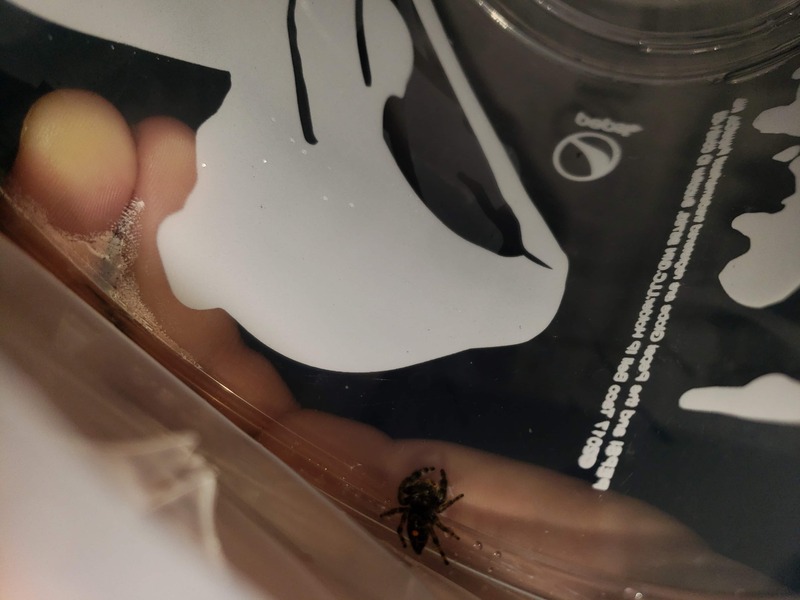 Hi, this looks like a bold jumping spider, Phiddipus audax. They’re playful fun little spiders.